Staffordshire Wedding and Portrait Photographer Welcome to Gareth Newstead Photography, specialist Wedding Photographer based in Staffordshire and conveniently based to provide wedding photography in the Midlands, Derbyshire, Birmingham, Leicestershire and across the UK. My aim and passion is to create stunning and contemporary wedding photographs in a relaxed and friendly manner that you will cherish forever. As you look through my portfolio and blog you will see my style is to capture your day as it happens in a natural, fun and documentary style but with a creative twist. I use interesting compositions, angles and lighting to create modern works of art. 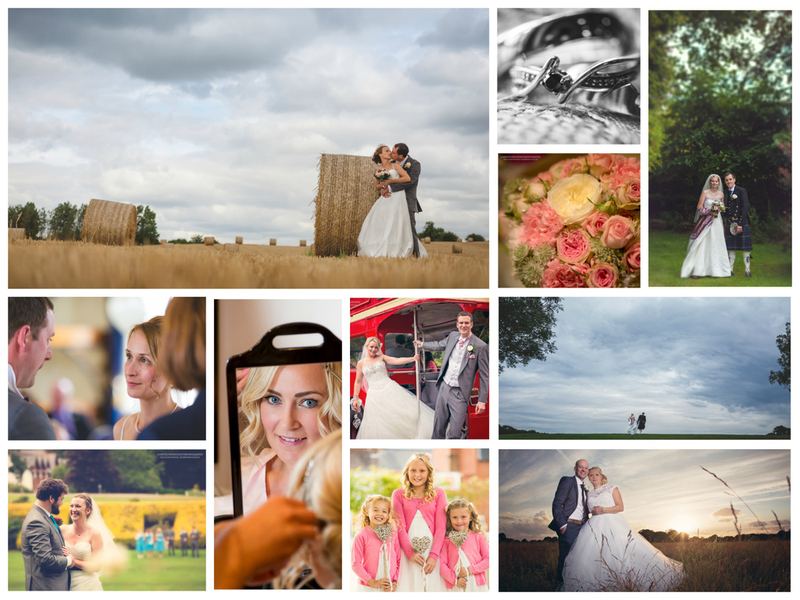 Testimonials are curated by Gareth Newstead Photography and are not independently reviewed or verified. "Wedding of Leanne & Gary"
""Gareth photographed our wedding and we found him to be a very vocal, enthusiastic, imaginative and an energetic person. His initial briefing document made us really think about what we wanted and it helped us ensure we had everything covered and made it fit with the day's timetable. He was there first thing capturing the moments that we can treasure forever. He was very professional and very busy getting round taking all the pictures we asked of him. He never made us, family or friends feel uneasy, we hardly knew he was there. This guy has an eye for it with a great creative flare. When he presented us with over 600 high-quality, edited pictures we were amazed as we never really saw him. The natural shots were one of the things we wanted and he sure got lots of those too. Overall we are incredibly satisfied with Gareth's work and couldn't recommend him highly enough for any occasion. We will definitely be using Gareth again for our next special times in our lives."" "Wedding of Kelly & Scott"
""So happy Gareth did our photos, couldn't have picked anyone better. He made us feel so relaxed throughout our wedding day while I was stressing out, the photos are outstanding. He has a keen eye for catching special moments and creating a story of your special day within the photos. I would 100% recommended Gareth to anyone and be more than happy to have him again for our photos. Thank you again."" ""I am a returning customer - surely the best recommendation you can give! Gareth captures amazing photographs - my little boy is not a natural in front of the camera, and yet Gareth managed to get shots that we were thrilled with. The service he provides is excellent, he was happy to make changes to the orientation and colour options to get a print that we were really happy with. Competitively priced. Gareth is really friendly and yet professional, and good with children. More than happy to recommend."" "The whole 'Bump' photo experience with Gareth was absolutely fantastic: he came to my house with a portable studio which made the whole thing far less awkward and he really made me feel at ease and relaxed through the whole thing. He asked me to think of any shots that I wanted but also came with loads of creative ideas (which were obviously far better than mine!). I am absolutely thrilled with the images that I have got as a result and now just have to wait for baby to be born so that we can do the newborn shoot too! I can't recommend him highly enough for any mums-to-be wanting a truly special keepsake of this wonderful time." "You can find the rest of my testimonials on my website and Facebook page https://www.facebook.com/garethnewsteadphotography/reviews"